For the 4th year running, Outside of the Boot has returned with our years’ special feature – a detailed look at the best young players every football enthusiast must keep an eye out for in 2017. Blurb: Jack Harrison is a part of the young exciting crop of talent in the MLS. The British born youngster joined Manchester United’s academy at the age of seven, where he stayed for seven more years. When he was fourteen, he moved to Massachusetts, attending Berkshire High School. From there he went on to attend Wake Forest University where he instantly became a sensation. Harrison was the only freshman to make an All-American team in 2015. Not only did he win a plethora of other awards that season, he was also drafted #1 overall by the Chicago Fire in the MLS SuperDraft. He was quickly traded to his current team New York City. 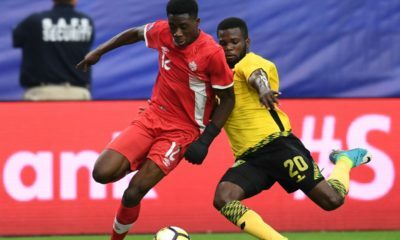 In twenty-one games this past season, Harrison scored four times while assisting another two goals, but more importantly he caught the attention of many in America and across the world. Analysis: Harrison is flexible midfielder who can play directly behind the center forward or to the left or right of him. The left footed twenty year old is known for his craftiness in and around the box. He isn’t a slouch athletically, but certainly isn’t a freak of nature either. He relies on his vision and technical abilities, often times doing all the work only to lay it off to a teammate nearby. Multiple times this season he showed off his incredible footwork, slicing up defenses and then finding the right teammate in good positions. His passing in general isn’t fantastic, but his creativity on the ball opens up the field for his teammates, which makes it easier for him. Harrison needs to work on his balance and strength. While his technical skills on the ball are limitless, he still loses the ball too much due to defenders being able to bump him off the ball quite easily. When he improves in those two areas, it will hopefully also take him to another level as a defensive contributor. He didn’t need to do much of this at the collegiate level, but to become a national team player, this will absolutely be asked of him. 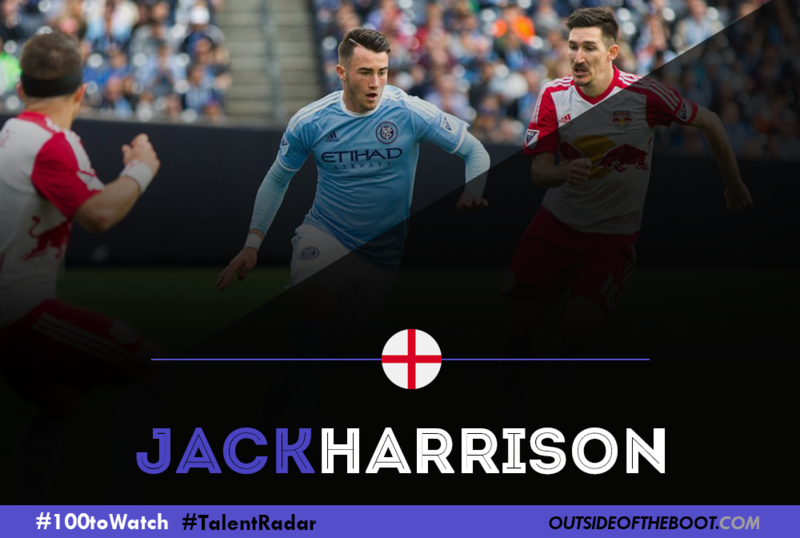 Looking Ahead: Jack Harrison has a long career ahead of him, but how that career exactly will play out is still up in the air. 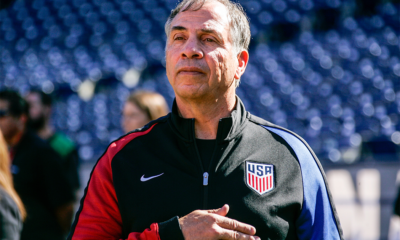 The questions remain on if he’ll continue to play in the MLS or if he’ll represent USMNT. Harrison has said he’s open to doing both, but you wonder if he’ll be tempted to go back home to England and play in the Premier League or for England’s national team. Either way, the twenty year old has bright future in front of him, and certainly can’t go wrong with either of the choices above. 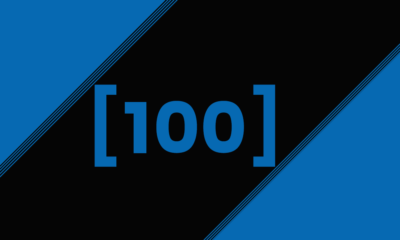 Blurb: Yosuke Ideguchi is a twenty year-old Japanese defensive midfielder currently playing for Gamba Osaka in the Japanese top flight, J1 League. He joined Gamba’s youth set-up aged twelve and broke into the first team in 2014. He was included in Japan’s Olympic football team after scoring four goals in six games leading up to the tournament, before being called up to the senior squad for games against Oman and Saudi Arabia in November. Analysis: Ideguchi’s confidence on the ball is outstanding for a young player, not just for his club but also at international level. 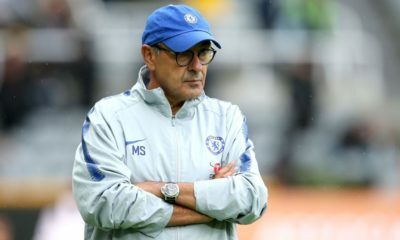 He has the pace to keep up with play well, and get into positions where he can threaten defences as well as his tough-tackling approach at his own end of the pitch. 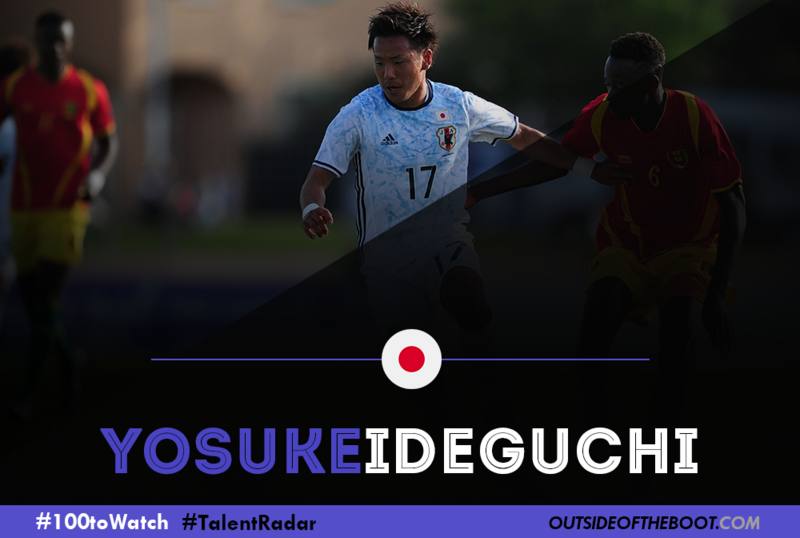 With the ability to control play with both his short and long passing range, Ideguchi has the ability to create chances for his teammates from various positions. He has spoken out recently about improving his own game, telling Japanese press after his call-up to the national side: “Getting forward is something for me that needed work as well as facing games with a confident attitude. I think I am doing these things and that has led to me being picked”. This was following an excellent thirty-yard goal he scored for his club a weekend before the national team was selected, where he received the ball near the half-way line before running forward with it, shrugging off an opposition defender, looking up and firing a shot right over the goalkeeper and into the top corner. Looking Ahead: His national side manager Vahid Halilhodžić has spoken of his ability to score goals and get forward, but Ideguchi must focus on using his pace to recover his position quickly after an attack and not leaving his defence vulnerable to a counter attack. 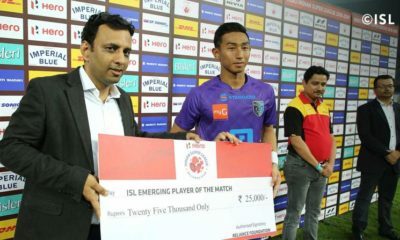 Ideguchi says in terms of the future he must “show his strengths and be aggressive”, as for a young player of his short stature to make an impact he has to advance the development of his tough-tackling approach. 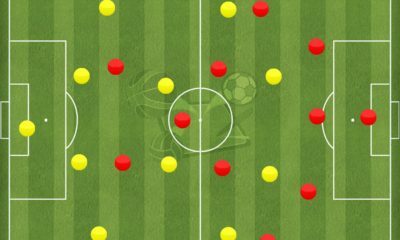 He must also focus on not being too erratic on receiving the ball, but taking a moment to assess his options before selecting a pass. If he continues improving his game as rapidly as he has been, a pacy defensive-midfield player like Ideguchi could prove very handy for managers in the market looking to utilise that sort of system. 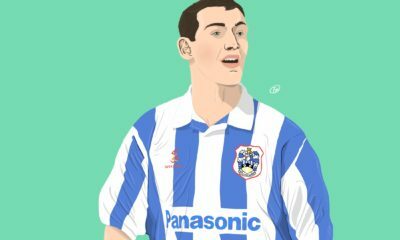 Blurb: With the increasingly cut throat nature of football today, making one’s breakthrough at first team level is now arguably more difficult than it has ever been ― even more so at one of the big clubs. Over the past year, Alex Iwobi has broken into the first team set-up at Arsenal. Despite some criticism from fans, he has proved deserving of the chances granted by Arsene Wenger. Analysis: As with any attacking midfielder or winger, Iwobi has had to endure periods of inconsistency in his game. 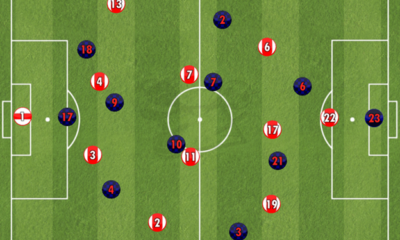 However, such periods of inconsistency are to be expected of not just attackers but young players. 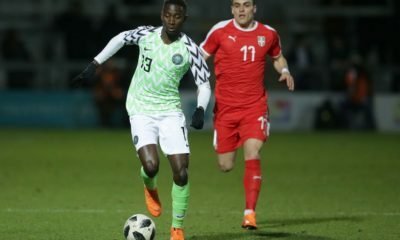 The Nigerian international possesses a turn of pace that, allied with his close control and dribbling ability, allows him to be a sizeable counter-attacking threat. Case in point, his first ever Premier League goal against Everton in March 2016. Running into the Everton half, Iwobi brought Hector Bellerin’s through pass in his stride, accelerating away from and holding off his marker before applying a composed finish to the move. Standing at 1.80 metres, Iwobi is of a good size – in his position, he stands out in an age of diminutive wide players. Operating primarily on the left flank with license to drift inward, Iwobi has also shown the versatility to play on the right. What truly sets Alex Iwobi apart as is his footballing intelligence. This vision and inherent ability to read the game has been a major part of his success in moving from the reserves to Wenger’s first team without a loan spell away from Arsenal. Iwobi has combined well with his team-mates in build-up play and has displayed a keen understanding of facets such as which positions to take up on the pitch, when to pass/shoot, as well as which off-ball runs to make. Looking Ahead: In the near future, Alex Iwobi undoubtedly has the potential to cement not just a first team place at Arsenal, but a starting role. He has the technical ability and, importantly, football intelligence to make it at the highest levels of the game. Crucially, he has the mentality required to fulfil his potential. A testament to that would be Arsene Wenger starting the youngster in a UEFA Champions League knockout stage fixture against Barcelona at Camp Nou in 2015/16. In that game, he showed he could handle the pressure and the spotlight, giving a good account of himself in what was also his first Champions League start. From almost being released by Arsenal at youth level to becoming a first team player, Alex Iwobi has come a long way. That said, there is still a considerable distance to go. For starters, he has proven to be worth being regarded as more than the tag of “Jay Jay Okocha’s nephew”. 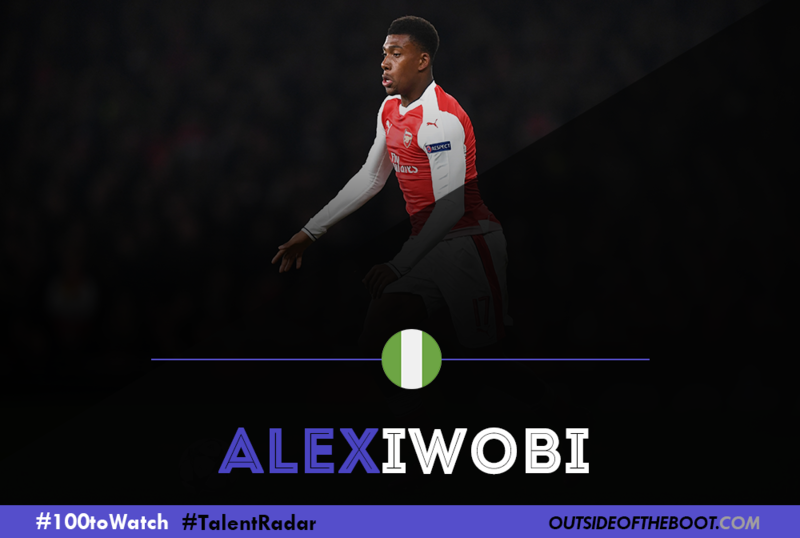 Alex Iwobi has everything to make a name for himself – Iwobi, not Okocha. Blurb: Atalanta’s academy is famous for churning out some of the finest talents Italian football has ever seen. The club even has a reputation for giving out its jersey to every new born boy in the city- talk about catching them young. Gaetano Scirea, Angelo Domenghini, Roberto Donadoni and recently Giacomo Bonaventura all had their formative years at Bergamo and now a young Ivorian could be next in line for greatness. 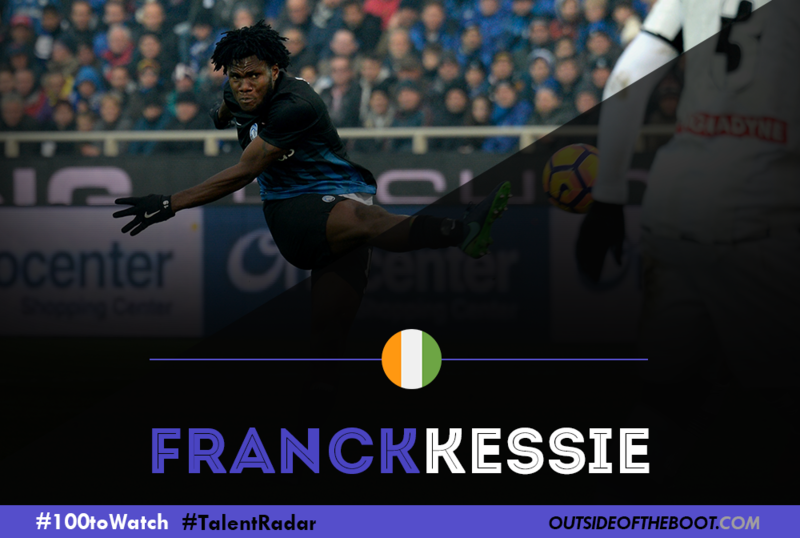 Franck Kessie is slowly carving a name for himself after some decent displays despite having played just one full season of European football. Analysis: Possessing great technique and an imposing physique, Franck is a tank in midfield, fully capable of passing and keeping the ball. He picked a few tricks of the trade while on loan at Cesena last season under the tutelage of Massimo Drago, who moved him into midfield from defence, forming a midfield partnership with Stefano Sensi and making thirty-five appearances. Having previously played as a centre back, his tackles and aerial duels (one and one won respectively on average) are quite impressive, with five goals this season he has shown that he’s capable of finding the back of the net as well setting up goals (one assist) and creating chances (twleve) but it’s his versatility and ability to combine brute power with surgical technique that has stood out the most. Consistency is key at the top level and Franck has shown he can perform steadily at just about any level. Able to slot in anywhere in central midfield as well as centre-back – a position he played in upon arrival – he has proven to be a very valuable piece of Gianpiero Gasperini’s formation. His ability to read the game is brilliant for his age and his decision making has been spot on despite the occasional recklessness that is expected from someone of his age. Looking Ahead: The midfielder will be playing alongside Yaya Toure at the African Cup of Nations, a player Kessie accepts he looks up to. He’s also shown a willingness to learn and improve, highlighted by his loan spell at Cesena under Massimo Drago where he was moved into midfield and his ability to nail down a regular first team spot under the tactically and physically demanding setup of Gasperini shows how hard he’s working. Already an Ivorian international – he made his debut aged 17 – the future looks bright for La Dea’s next big thing. Blurb: Born in Kherson, Ukraine, Kovalenko came through the Shakhtar Donetsk youth system. Shakhtar are the powerhouses of the Ukrainian league and are also regulars in European tournaments. This enabled Kovalenko to compete at the highest level domestically as well as experience the UEFA Youth League. In 2011, he won his first cap for the U16 side. Kovalenko was particularly impressive for the U17 national team scoring eleven goals in twenty appearances, a great tally for a midfielder. Analysis: Kovalenko’s style of play is suited for modern football. Adept at passing, dribbling, shooting and quick off the blocks, Kovalenko has the dynamism and versatility a modern footballer requires. The youngster is more attack minded and plays as a number ten with the Ukrainian’s vision another aspect of his game that enables him to be so effective as an attacking midfielder. Impressively, in the 2015-16 season, he had six assists in the Europa League as a central midfielder, showing his capability to pick out a pass and make right decisions in the heat of the game. Kovalenko’s impressive finishing is a hugely attractive part of his game. The midfielder has the instinct to time his runs to perfection and appear in goal-scoring positions more often than not. An excellent performance in the UEFA Youth League against Anderlecht showed the same when he scored a hat-trick. The goals he brings from the midfield are very important to any team he plays for and he has the clinical nature of a striker. Kovalenko stands at 5 ft 11. This makes him strong on the ball and harder to muscle off. His strength is useful especially in a deeper role as he links defense to attack, while at the same time providing the physicality while making attacking runs towards opponents. Looking Ahead: Kovalenko needs to make the attacking midfield role at Shakhtar his own. But what’s most exciting is the impact he could have at the national level. With only Konoplyanka and Yarmolenko particularly strong attacking figures in the national team, Kovalenko could be an important piece of the puzzle and help lift the national side out of mediocrity. Viktor Kovalenko should ascertain his place as a starter for both Shakhtar and Ukraine so that he can gain experience and grow in stature. Blurb: Red Bull Salzburg have been an ever present dominant force in the Austrian Bundesliga since Red Bull took over them in 2006. 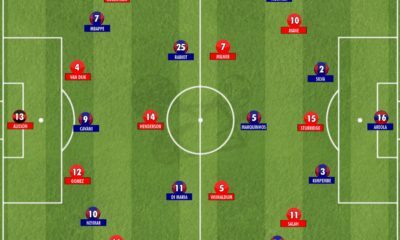 While they have had a large influx of players over the years through transfer acquisitions, Salzburg have also developed young talent and are a major source of talented Austrian young stars. Valentino Lazaro is their most prized possession – born in Graz, Austria to an Angolan father and a Greek Mother, Lazaro is a product of the Salzburg youth academy. He made his senior debut against FC Admira Wacker Modling in 2012. This made him the youngest ever debutant in the Austrian Bundesliga at the age of sixteen years and two-twenty-four days. 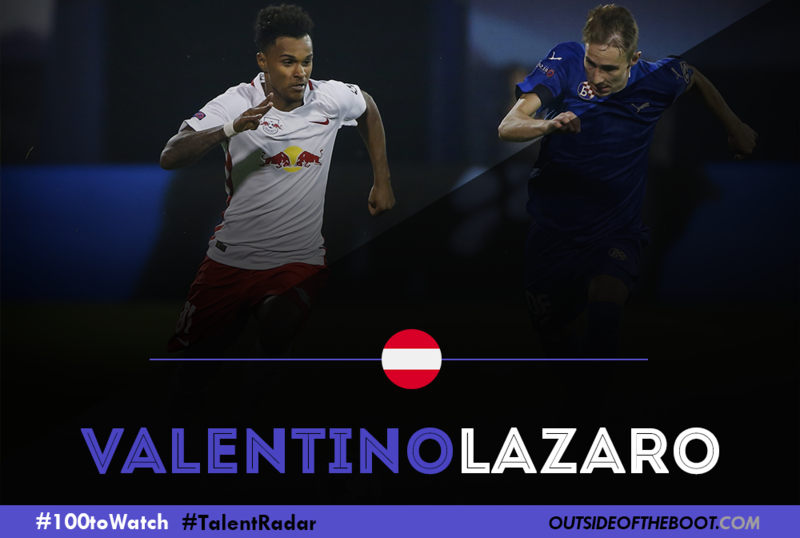 Lazaro is considered the brightest Austrian talent to have emerged since David Alaba and has already made his international debut aged eighteen when he replaced Marko Arnautovic against Iceland in a 1-1 friendly draw. Analysis: Lazaro is a versatile attacking midfielder who plays predominantly in the right flank. Lazaro is a typical modern day winger who is pacey and loves to dribble. Lazaro’s dribbling is a mix of street football-esque tricks and old school bulldozing your way through players with raw pace. His control is excellent even when he runs at full pace with the ball. His game play is very direct and always looks to beat his man in the flanks. His youth career was filled with outrageous dribbles, feints and tricks, excellent bursts of pace and occasional passes. Lazaro is also an excellent finisher and is very composed when faced with one on one situations. His confidence in his own ability is overwhelming. Lazaro’s unpredictability when it comes to dribbling is the key for him to be such a tormentor of defences. He has excellent technique that allows him to curl the ball around the keeper and also a powerful right foot. His passing in the final third is also impressive along with his good decision making in the final third. 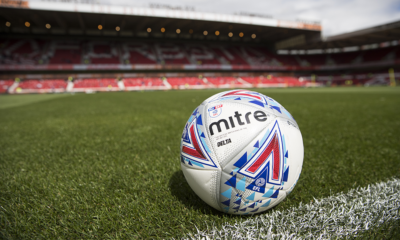 Looking Ahead: Lazaro is faced with the dilemma that all players of his age have – the doubt whether the player has outgrown the club and to reach the top level they must go to a top European club is the question that runs through all the young players’ mind. Lazaro is guaranteed a starting spot in Salzburg right now and it will do him wonders to stay at the club and keep improving. 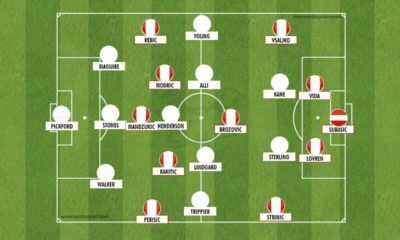 Blurb: There are not many better introductions than two sumptuous screamers in the space of three weeks against top-half sides, not least from a teenager who operates regularly as a defensive midfielder. 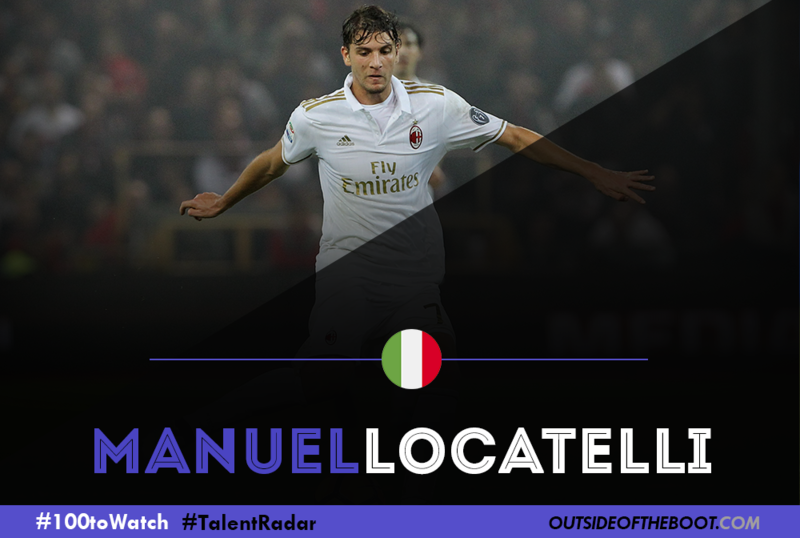 Manuel Locatelli is another of Milan’s supremely talented prospects, one that continues to develop with every passing week. Analysis: Making his Serie A debut just four months after his 18th birthday, Locatelli has already represented Italy at various youth levels on more than fifty occasions. With that in mind, it seemed only a matter of time before he’d have his chance at centre-stage, one that he has grabbed gratefully with both hands. 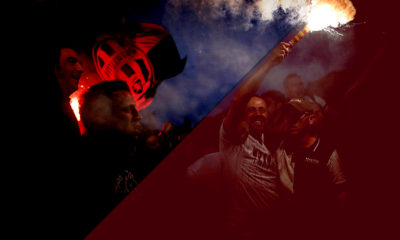 With successive defeats against Napoli and Udinese, it became clear that Milan needed a change in midfield if they were going to achieve their European aspirations this term – one that has already come to fruition with the presence of Locatelli protecting the backline. His ability to tackle, block and make himself a nuisance battling with opposition players means he’s a tough player to dispossess, and equally one that is hard to skip past. Positionally, he almost always seems to be in the right areas of the field and uses his deep-lying midfield role to good effect, spraying both short and long passes with reassuring consistency. Occasionally making driving runs from deep, this is where he has the freedom to help create chances in more attacking areas or go for goal himself: which proved pivotal to help Milan secure six points over Sassuolo and rivals Juventus – winning a Man of the Match award for his performance against the latter. Looking Ahead: It’s easy to forget the fact that he’s still only 18 and has lapses in judgment which can easily result in needless bookings occasionally. He’ll know he needs to improve his discipline and develop the ability to battle for possession in the air, where he can often miss out on opportunities to retain the ball despite his lean, growing frame. Having started and played the full 90 minutes for Milan in six consecutive matchdays, he’ll want to establish himself as a first-team mainstay with consistent displays on a weekly basis. Being compared to the likes of Pirlo and called a future captain of the club is no small laurel, and Locatelli will do very well to try and live up to the billing in the coming year. 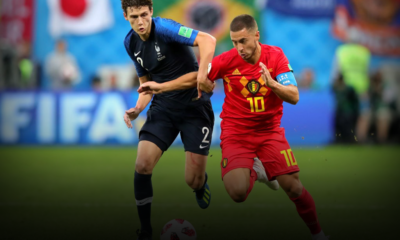 Blurb: When in 2014 Julen Lopetegui gave a starting spot in Porto’s midfield to an unknown seventeen year old who had never even played for the junior team, many pointed out the risk he was taking in doing that. However Rúben Neves quickly convinced all the skeptics, proving to be an extremely mature and complete midfielder. But he did not stop there: with seventy-five matches and three goals in his first two seasons for Porto, the No.6 became the youngest player of the club to score in the Portuguese Liga (during his first match for Porto), the youngest Portuguese to play the Champions League and also the youngest player ever to be captain in a Champions League match, making it into the U21 and first national teams being only eighteen years old. It’s easy to state we are beholding a prodigy. 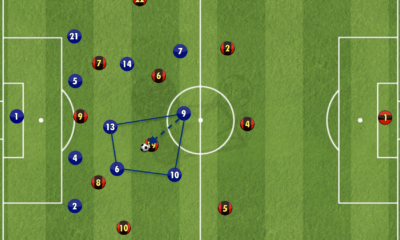 Analysis: Neves dictates the rhythm and direction of his team’s offensive movements. He is able to ally all of his technical and passing quality (his dribbling and first touch skills are incredible) with a rare calmness and intelligence when conducting the ball. 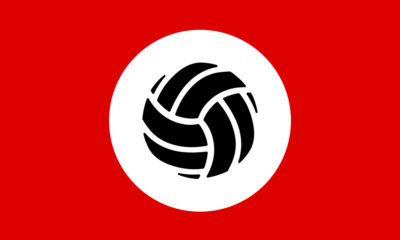 Thus, when he is playing he provides dynamism to his team’s build-up, connecting all the team’s sectors more efficiently. Also, he shows an extraordinary long-range pass accuracy which helps the ball to quickly go from one side of the field to another, posing difficulties to any defensive organisation. In addition, he is not afraid of taking his chances when it comes to finishing (his first goal for Porto scored against Marítimo shows just that, as he was making his debut and did not shy away from trying to score a goal from afar). Being a No.6 midfielder, Neves just has to improve his defensive positioning without the ball to attain the consistency required of any player in his position. 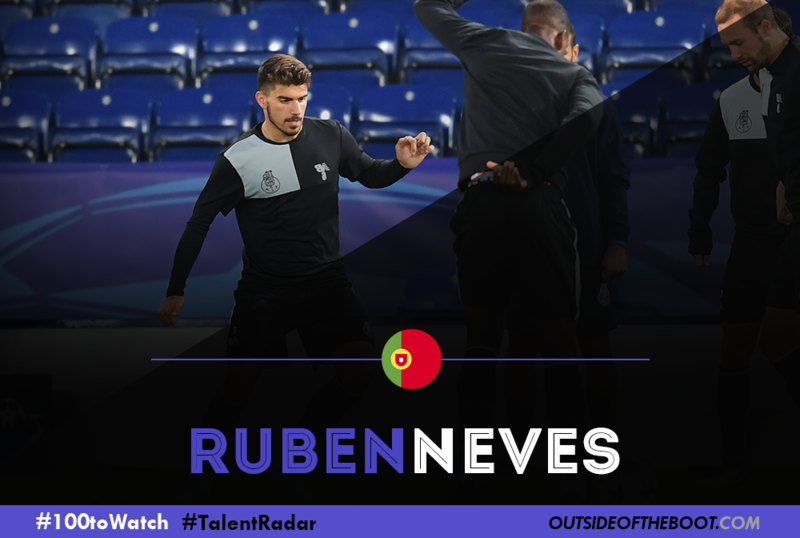 A possession-driven side like FC Porto surely benefits from the dimension Rúben Neves can offer to the game, bringing every player of the team together and turning the offensive manoeuvres into a constant and asphyxiating trend in Porto’s style of play. Looking Ahead: Despite the two “fairy-tale” seasons Neves went through, 2016/2017 brought him a new challenge he had never faced during his professional career: he started the season on the bench, in the shadow of Danilo Pereira, one of the recent European Champions (playing only nine matches, almost none in the line-up). If he can equal the defensive assurance Danilo gives the team he will surely regain a starting spot in Nuno Espírito Santo’s line-up. He cannot let the success he has already achieved rush his development. Being a fan favourite (he’s played at Porto since he was eight), one of the captains and having a solid contract until 2019, he has already the perfect place to complete his evolution, which will surely bring him to the global spotlight sooner or later. Blurb: Born in Tours, Ounas spent the better part of eight years with the Loire club, whose first team have generally been in France’s second division. Some youthful indiscretions saw him move from the Loire club to Chateauroux before turning up at Ouest Tourangeau 37, a minor club in the area who have never played in the professional ranks. There, he was scouted by Bordeaux and brought to the club in 2013, immediately making an impact with the second team before debuting for the senior side two years later. Analysis: A tricky and diminutive player, with superb dribbling ability and a low center of gravity, the easy (and far-reaching) comparison for Ounas would be Lionel Messi, but the youngster is far from reaching those heights, talented though he may be. Like the Argentine, Ounas has been used on the right and centrally, his close control, acceleration and link-up play a thing of beauty to watch, whether stretching play on the wing or cutting inside onto his left foot. He is superb at going past players or drawing fouls, as his performance recently against Lille showed, earning five free kicks in just over half an hour on the pitch. Despite this, he often flatters to deceive; after scoring five goals in the league last year, he is yet to find the back of the net this season, and has recorded a solitary assist, and that was from a dead ball. Some of that may be admittedly down to Bordeaux’s strikers, who have been woeful thus far, but for a creative player, he must simply show more. 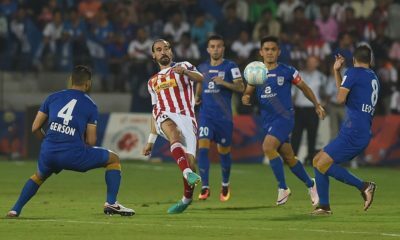 His defensive work rate is also lacking, as is his discipline, having picked up four bookings in just over 700 minutes of playing time. Looking Ahead: Ounas has recently declared for Algeria, earning a call-up for a 2018 World Cup Qualifier recently, although he didn’t see the pitch. 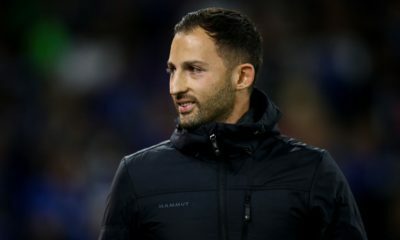 His competition for significant playing time with the senior squad would seem to be difficult, with the likes of Ryad Boudebouz, Riyad Mahrez and Rachid Ghezzal all firmly ahead of him in the pecking order. Playing further for France’s youth squads (he had made two appearances for the U20s) would have seen him not only play regularly but face a higher level of competition than he would as an Algerian youth international. For his club, he must convince Jocelyn Gourvennec of his importance to the team; the manager has lately deployed a diamond 4-4-2 with Jeremy Menez behind two strikers. Ounas has much more creativity than the former AC Milan player, but his inability to retain the ball under pressure and be a consistent goal-scoring threat has sapped the manager’s confidence in him. Becoming a regular for his club is imperative this season, especially given the lack of competition since Wahbi Khazri’s move to England. If Ounas can do this and improve upon his raw numbers, he will be worthy of more consideration, but for now he is merely an intriguing prospect. 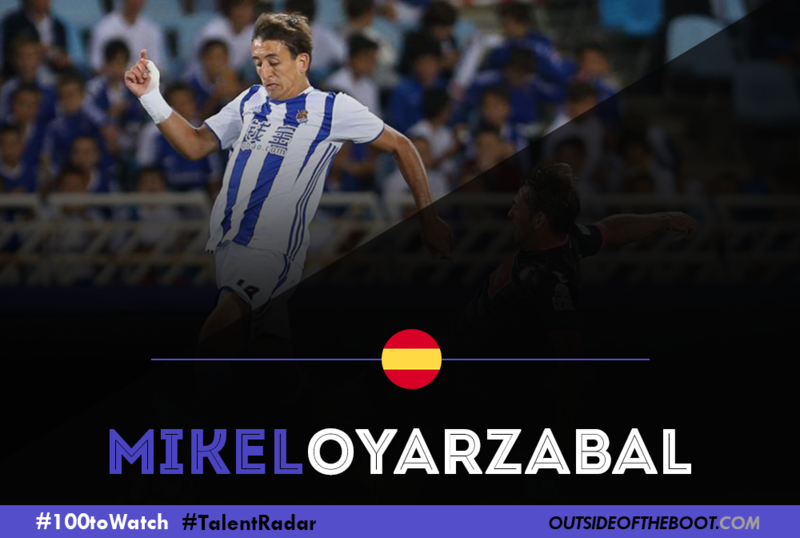 Blurb: One of Spain’s brightest young stars, Mikel Oyarzabal has been a revelation for Real Sociedad, a key factor in the Basque side’s vast improvement under manager Eusebio Sacristan. The left-sided winger is a valued member at San Sebastian with two recent contract extensions meaning his current deal will run out just under six years from now. Analysis: Oyarzabal came to the forefront of many La Liga viewer’s minds during the 2015/16 campaign. His goals in the second half of the season helped Sociedad on their way to a top half finish in the Primera Division. He announced himself in Sociedad’s 3-0 win at home to strugglers Granada, sweeping in a Berchiche cross at the near post for the first and completing the 3-0 romp latching onto Carlos Vela’s short, grounded cross. These two goals had elements seen in Oyarzabal’s quick passing game. His ability to finish chances with just one touch was mirrored in the Spaniard’s one-touch passing play. Although, this was not always the youngster’s choice of game, he could be often being seen tearing down the left flank, making an incisive run more laterally towards the end of the sprint before attempting to create an opportunity with a penetrating crossed ball. This season has seen this side of his game exercised further. Whilst the Spanish international has not been on the scoresheet, he has assisted a total of 5 goals so far with signs that the figure is set to increase significantly before the conclusion of the current campaign. Looking Ahead: The mention that Oyarzabal is a ‘Spanish international’ is a recent addition to the Sociedad prodigy’s descriptive terms. He made his Spain first-team debut in May 2016, replacing Nolito in a 3-1 win over Switzerland. This appearance before the European Championships highlighted the promise the boy has and more appearances on the top international stage can be expected before the next big tournament. With Spain’s left flank often lacking pace, an aging Nolito and Pedro the current options there, the Basque-born winger could soon see himself as a top wide player for both club and country.